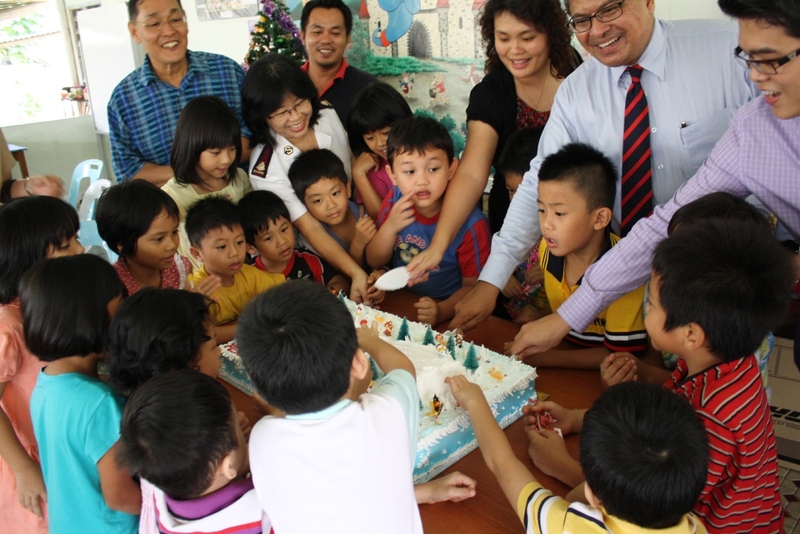 It was a delight to watch the children’s eyes light up at the sight of the Christmassy cake. Led by Ivy Lau, Deputy Principal of the College, the visitors distributed gifts and goodies to the home’s 57 children two days before Christmas. The singing of carols and the cutting of a specially-baked cake, along with partaking of an assortment of pastries added to the festivity and joy of the occasion. 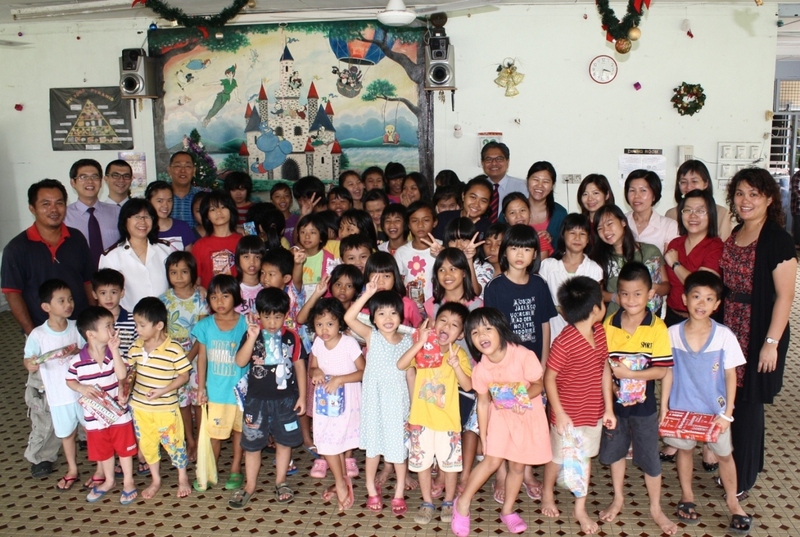 Ivy Lau (extreme right) and her colleagues pose with the happy residents of Salvation Army Children’s Home. Social responsibility is a part of the teaching and learning experience at INTI. Bringing cheer to residents of the Salvation Army Children’s Home is just one of the many social and charitable events organized by INTI. Students and staff have on many occasions come to the aid of orphans, the elderly, disaster victims and others in need, bringing friendship, comfort and hope.